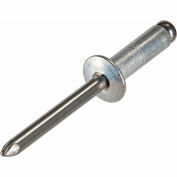 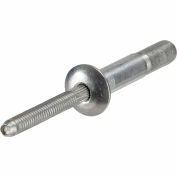 A rivet is a cylindrical, permanent mechanical fastener with a forged head used to fasten two separate materials. 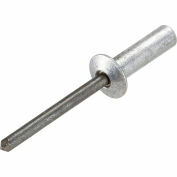 Generally made with a head at one end, the other end being hammered into a head after insertion. 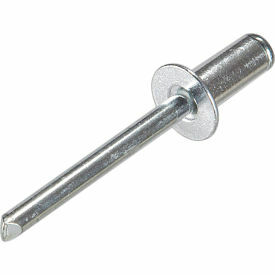 GRIP RANGE INCHESUp to 3/8"